The word photosynthesis comes from the Greek and is formed by the term photo, which is equivalent to light, and by synthesis, which means the formation of compounds. In the field of biology, photosynthesis refers to the ability of plants to transform the light energy of the Sun into chemical energy. This process allows plants to generate their own food. If this process did not occur, life on the planet would not be possible. The main idea of photosynthesis and the development of the process. Plants absorb carbon dioxide (CO2), more water (H20), more photons or sunlight. With these elements can generate carbohydrates and oxygen. In this sense, carbohydrates provide energy to animals and oxygen is essential for the breathing of living beings. Photosynthesis is a type of anabolic chemical reaction, which means that substances are created or synthesized from others. The first section of the process is the absorption of light. In this sense, sunlight is captured by the chlorophyll of plants. The plants obtain the carbon dioxide through the stromas that are in the leaves and in the stem. Plants absorb water in two ways: through the roots that are in contact with the soil or through the stroma in the form of water vapor. Therefore, in photosynthesis, there are two different stages: one that depends on light and one that is independent of it. In the first, energetic molecules are generated (such as ATP) and also oxygen. In the second, the ATP produced is used for the formation of glucose. The process of photosynthesis allows to understand how plants are fed and how oxygen is produced in the atmosphere. Like any other living being, plants need to be nourished to live. However, unlike animals, they do not feed on other animals, but they do so from light, water, and minerals. Plants make their own food, the elaborated sap basically consisting of glucose. 4) this gas is mixed with the crude sap and, combined with sunlight, it is transformed into elaborated sap, which allows the entire plant to be fed. Throughout this process, the plants expel oxygen that is released into the atmosphere and with which life is possible in all living beings. Photosynthesis is a metabolic process carried out by some cells of autotrophic organisms to synthesize organic substances from other inorganic ones. To develop this process, light energy is converted into stable chemical energy. Adenosine triphosphate (ATP) is the first molecule in which this chemical energy is stored. In the continuity of photosynthesis, ATP is used to synthesize other organic molecules. Specifically, this process is carried out by living beings that are largely made up of chlorophyll. Hence, we can establish that photosynthesis is carried out by algae, bacteria, and plants of different types. • Primary phase. As luminance, this stage is also known, which is where the chemical reactions mentioned above take place, thanks to both chlorophyll and sunlight. • Secondary phase. This is also called the dark phase and consists of the production of compounds formed by hydrogen, carbon, and oxygen. It is carried out thanks to the fact that, without the need for sunlight, the hydrogen obtained in the previous stage is added to the carbon dioxide and this is how those compounds are produced. 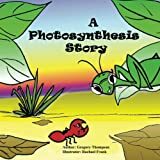 Photosynthesis is essential for life on our planet because, by starting from light and inorganic matter, it manages to synthesize organic matter. The process allows to fix carbon dioxide (CO2) from the atmosphere and release oxygen (O2). It is also very important photosynthesis in our lives because through it you get the perfect balance between heterotrophic and autotrophic beings, oxygen is released and is the key to the diversity of life that exists on Earth. The best explanation of the process of photosynthesis in a single video. The chloroplasts found in photosynthetic eukaryotic cells are the organelles that allow the development of photosynthesis. They are surrounded by two membranes and present vesicles known as thylakoids, where the molecules and pigments that convert light energy into chemical energy are housed. One of these pigments is chlorophyll. External factors that influence photosynthesis include temperature, light intensity, lighting time, water shortage, and the concentration of carbon dioxide and oxygen in the air. Scientists have been working for decades on artificial photosynthesis that would allow the controlled reproduction of the process to capture solar energy on a large scale and transform it into chemical energy. Although the objective has not yet been met, the scientific community believes that it can be achieved in the future given the progress of the research. What is Chlorophyll? How it is produced, Definition for Schools. Previous articleWhat is chloroplast? How it is produced, Definition for Schools.